Francine is an innovative lifestyle guru. As a serial entrepreneur, prior to founding BuddhaBooth, she spent her time consulting and developing business for international companies such as La Playa Insurance and Source-Lifestyle, as well as nurturing her line of eco-friendly artisan packaging, Fabrilopes. She is perpetually inspired by her diverse clients and loves navigating the ins and outs of the art world. She is currently thrilled to be a founding member of the Centre for Social Innovation's Women's Lab "Founding 40" as she combines her mission of bringing quiet spaces to noisy places with a focus on helping survivors of domestic violence and sexual crimes find peace and quiet through meditation. She is committed to growing her company by offering opportunities to those who have been previously incarcerated and have shown an effort in building careers in furniture making or other areas that support the production and social mission of BuddhaBooth. Francine’s soul work is embedded in her not-for-profit organization, Art and Soul New York, which provides a platform for individuals to heal their spirit by way of painting, drawing, writing, meditation, yoga, reiki, and other holistic healing modalities. Originally from Los Angeles, she's lived in Olympia, WA, Cleveland, OH, and has been living in New York since 2005. Her greatest joy is being a Mom to three amazing children and sharing a rich, meaningful and loving life with them. Learn more about Buddha Booth on their website! This conversation with Dr. Pilar Jennings, a long time Buddhist practitioner and psychoanalyst, arrives just in time for the holidays. During this season of giving and receiving, connection and celebration, it is entirely normal that current and prior losses are bubbling up. For some this can be an extremely difficult time because our fantasies are not jiving with our reality - making us particularly vulnerable to feeling isolated and lonely. “Be tender with yourself and find the people, the places where you feel well received, where you feel cared for and seen.” She reminds us that the psyche pushes for wellness, wanting to find some deep resource internally that can facilitate the healing we all want and need. From her Buddhist practice she offers this perspective - healing from loss can be helped through mindfulness and a spiritual practice that allows for what we find. Pilar Jennings, PhD, is a psychoanalyst in private practice with a focus on the clinical applications of Buddhist meditation. She has been working with patients and their families through the Harlem Family Institute since 2004. 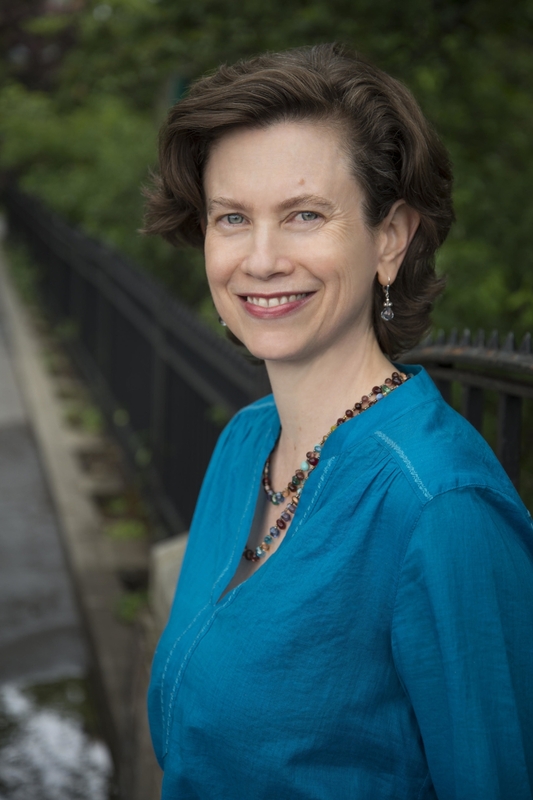 A visiting lecturer at Union Theological Seminary, and a guest lecturer at Columbia University, she is the author of Mixing Minds: The Power of Relationship in Psychoanalysis and Buddhism. Sofia Elizalde Duran is on a spiritual journey. She has been forging a path fueled by a need to discover “who I am - what makes me be happy, feel at ease, calm and at peace with myself.” Arising out of an awareness of an extreme disconnect between her body and mind, she was pushed to take up this fundamental question and then explore the means and ways she could re-connect, re-make herself. Yoga is at the core of her journey. In the beginning it helped her get into her body and face her fears - “how true were the monsters in my head?” - then it grew into a daily practice that now underpins her entire physical and spiritual life. Acting fires up her curiosity and creativity, at the same time leading her to understand human conflicts and therefore herself. She is a teacher who struggles to be an example of what she believes. “My faith is in goodness, in truth, in kindness. Everything is connected. Our actions matter so much.” Listen in to hear how she has built her spiritual life and to hear about the delicious breakfast bowl that begins her day! “Just when the caterpillar thought the world was over, it became a butterfly”. Born and raised in Santiago, Chile, I am the average middle-class Chilena, who was fortunate enough to attend the one and only international school in Santiago, because my mother is a history teacher of that school. There, I fostered a deep passion for the English language and Theater. My upbringing, surrounded by international students (classmates & teachers), really allowed me to become the curious being that I am. I am the eternal inquirer. I ask questions, I research, I explore, I experience. In retrospect, I believe that this is what drove me (has driven me) to the path of theater arts, dance, and yoga. I attended theater school here in Chile. It was not easy, it was not necessarily pleasant. I felt I was an alien: I was not Chilean, I was not American. I was a foreigner in my own country, I was (and will be) a foreigner wherever I went (go). I’m a third culture kid, woman. A breath of air came to my life when I was granted a scholarship to go to a Shakespeare Program in Oxford while I was on my third year of theater study. This made me want to come back, get my degree in Acting, and leave Chile. I spent 3 years in New York City, getting a masters degree in Acting thanks to a full scholarship granted by the Chilean government. Transformational years: the beginning of finding myself, the birth to new ground-breaking friendships, genesis to the heart of my life with yoga. In a very curious way, life has thrown me some interesting curve balls-- I, who never in a million years thought I’d be coming back to Chile, now live in Chile. I, who once swore would never be a teacher, have become a teacher. I, who graduated from The International School Nido de Águilas happily thinking I was soaring to freedom, now teach theater and dance in this school. Life is not work. My biography does not begin and end with my doings, my accomplishments, and/or my whereabouts. I am a 33 year old woman who believes in beauty, who strives for light and health. I am a woman who has faith in kindness, compassion, and love. Sofia was kind enough to share the recipe for her breakfast bowl with us! She says it’s important to know that there is no "correct" way of constructing the bowl, and this is just a template of what you can begin try - and maybe later expand. She recommends exploring with tastes, textures, and colors! Activated Almonds (To activate: soak almonds over night soaking in fresh purified water. In the morning, rinse before adding to meal). Chop the pineapple, cucumber, and celery in squares. Top with kale. Sprinkle with chia, flax, and sesame seeds. Grind (if you have fresh) turmeric and ginger. If not, organic turmeric and ginger powder works! Jean Vitrano is a massage therapist and a mindfulness facilitator. Kevin Pinzone is an acupuncturist and a Zen Buddhist. Together they know a lot about the mind/body connection and speak eloquently on the concept of ‘being present’ versus the practice of it. The practice of being present - think of what an athlete has to do every day - is a ‘doing’ thing. Over and over during the course of the conversation they come back to the breath. Return to the breath. Become aware of the breath. With each breath we have the chance to begin again. Kevin completed his Master’s of Science in Acupuncture and Oriental Medicine from the Tri-State College of Acupuncture. He trained in Traditional Chinese Medicine, Kiiko Matsumoto Japanese Style and Acupuncture Physical Medicine. The integration of these and other styles of acupuncture and modalities such as Cupping, Moxa and Gua Sha, Chinese Herbology and Kampo (Japanese Herbology), allow him to present the best possible outcome to his patients. Zero Balancing and Tui-Na are also incorporated to further harmonize each patient’s internal balance. He is certified by the National Certification Commission for Acupuncture and Oriental Medicine (NCCAOM) and the Council of Colleges of Acupuncture and Oriental Medicine (CCAOM) in Clean Needle Technique. He interned for a year at the Tri-state College of Acupuncture Clinic on the Kiiko Matsumoto Clinic Team and is a member of ASNY and AAAOM. Kevin also has a background in Hotel/Restaurant Management. This training paired with his strong desire to help others shapes his practice. Jean has extensive experience working with the body and mind through years of training in contemporary dance, therapeutic massage, movement awareness, meditation and yoga. 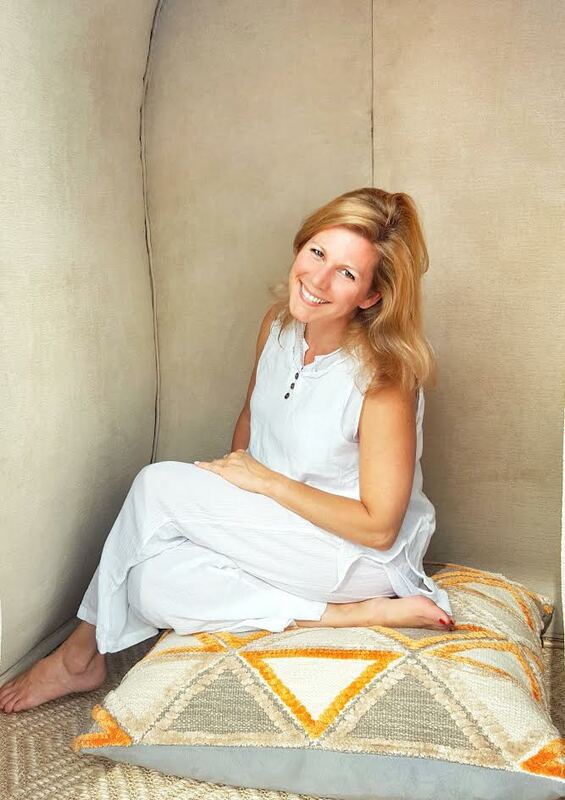 For the past 20 years, she has practiced mindfulness meditation and has enjoyed sharing the practice with others by leading weekly mindfulness groups and workshops. Her primary teaching influences have been Buddhist Zen Master Thich Nhat Hanh, and Insight Meditation Teachers Tara Brach and Sharon Salzberg. Jean also teaches workshops on managing stress by combining meditation and everyday mindfulness practices to manage our reactions to stress and to strengthen the pathways to happiness. She holds a BA from NYU, has been a Licensed Massage Therapist since 2002, and graduated from the Feldenkrais Method Training Program in 2011. Jean currently has a private practice in Maplewood, New Jersey and in New York City. You can visit her website where you can read her blog and listen to more recorded meditations at www.jeanvitrano.com. Listen to a 5 minute mediation from Jean below!